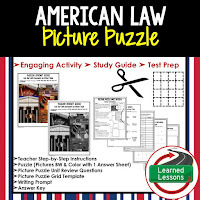 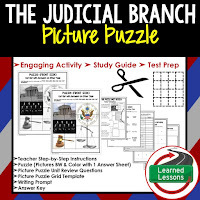 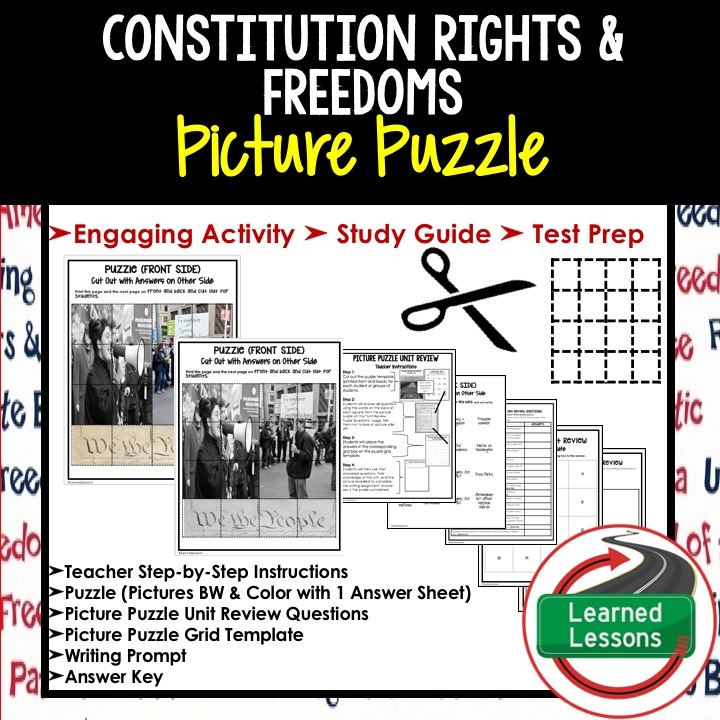 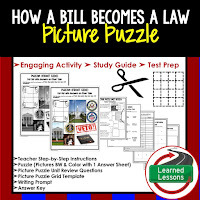 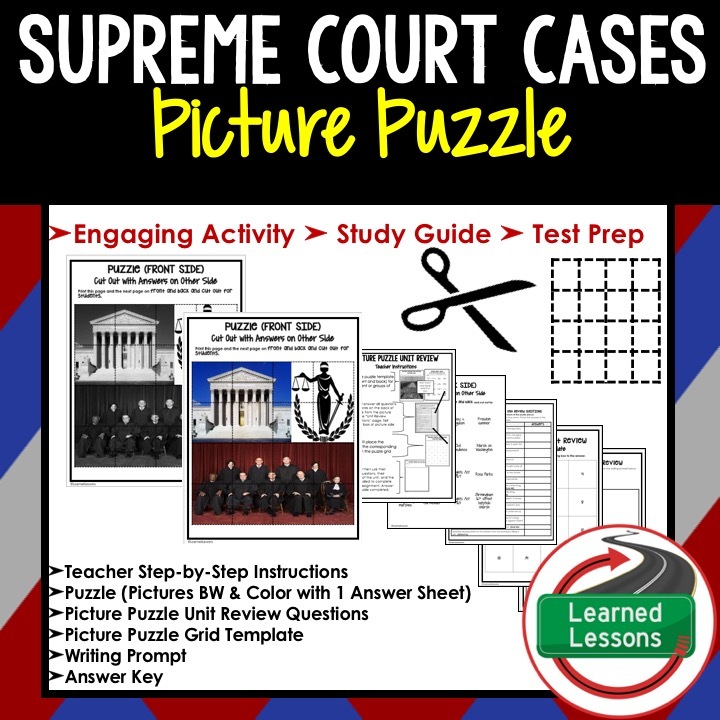 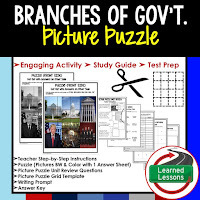 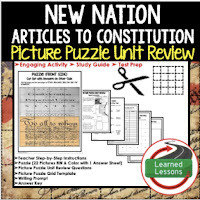 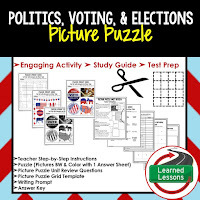 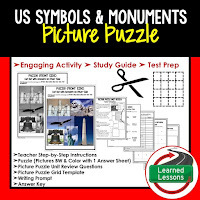 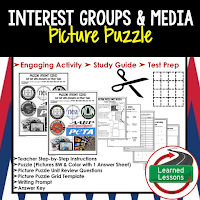 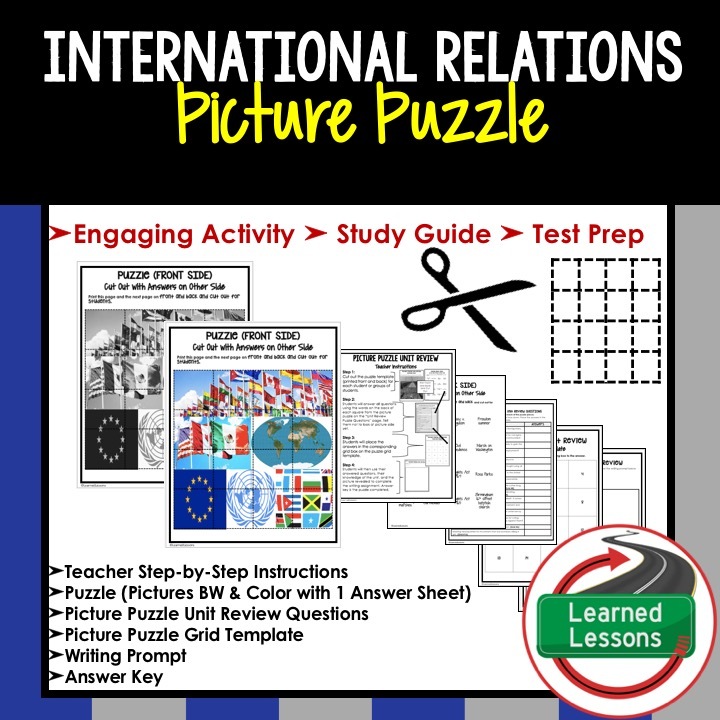 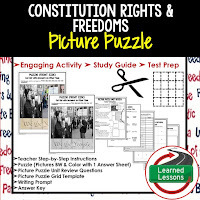 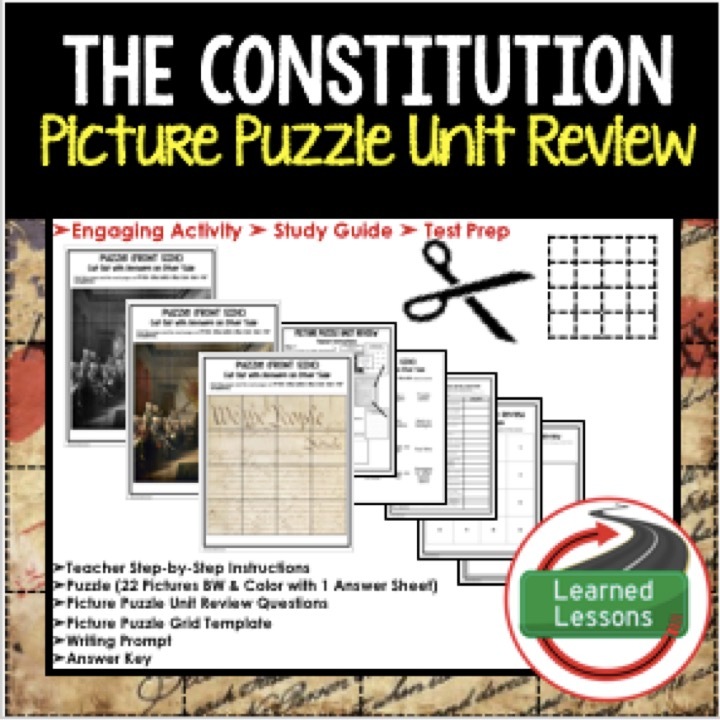 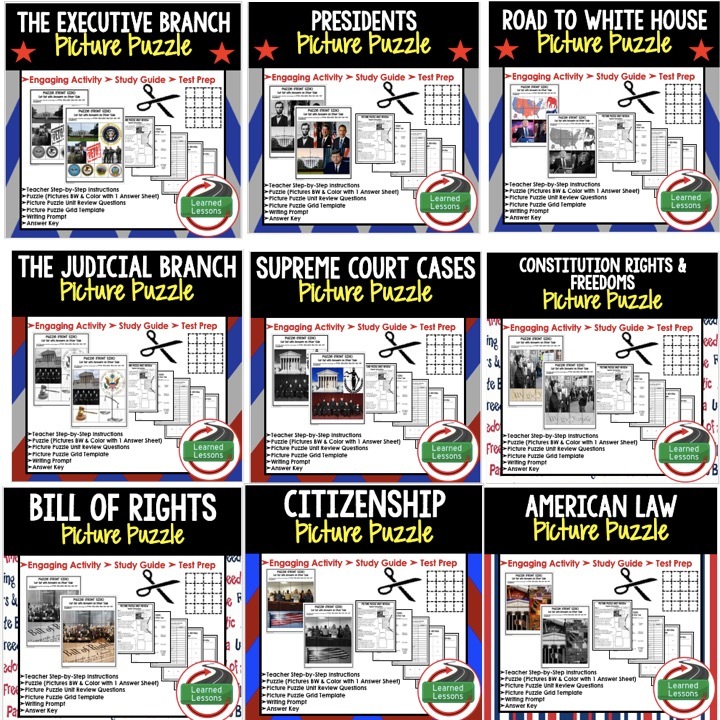 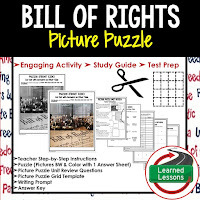 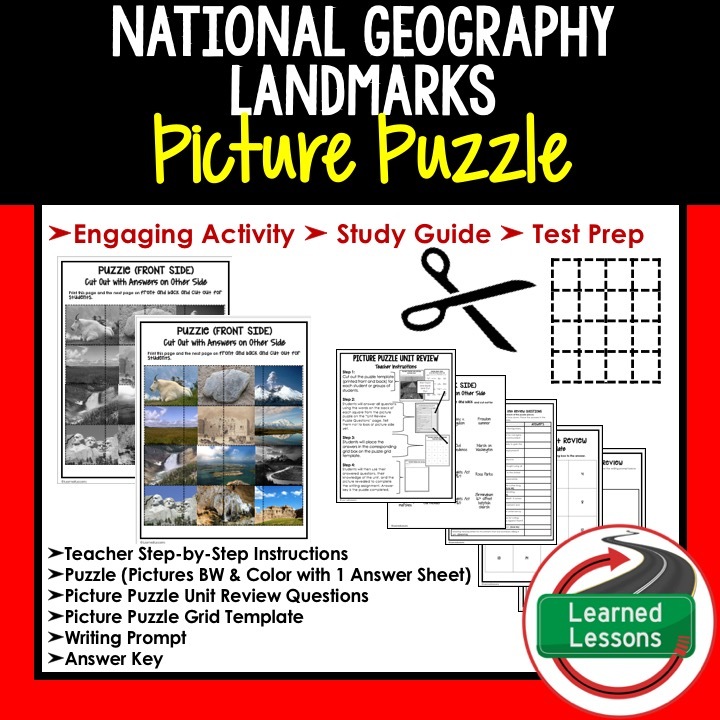 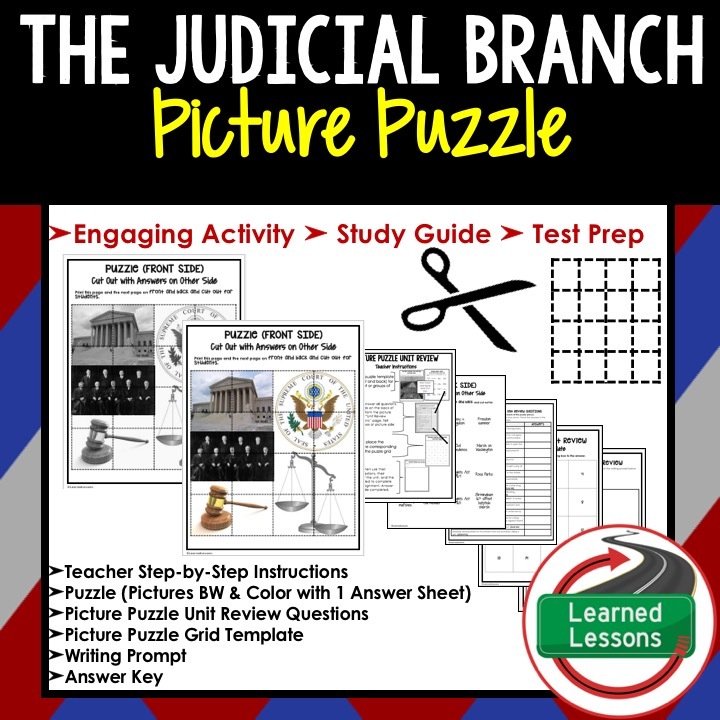 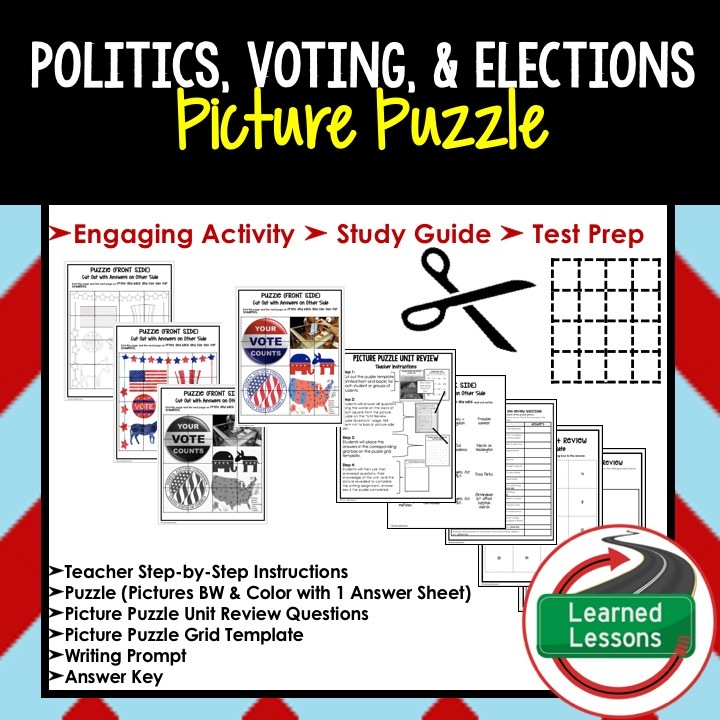 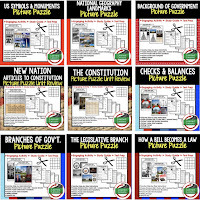 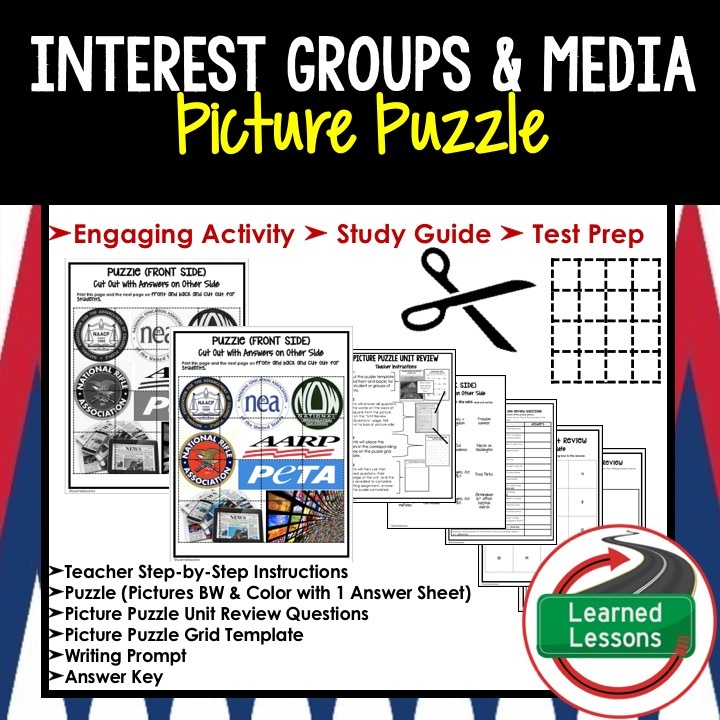 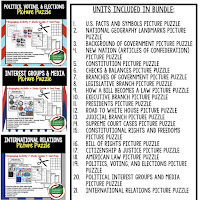 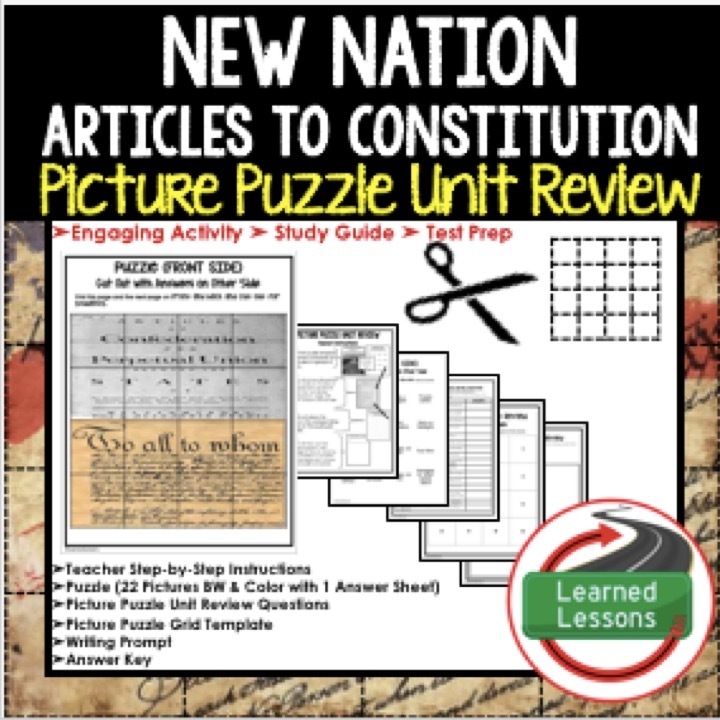 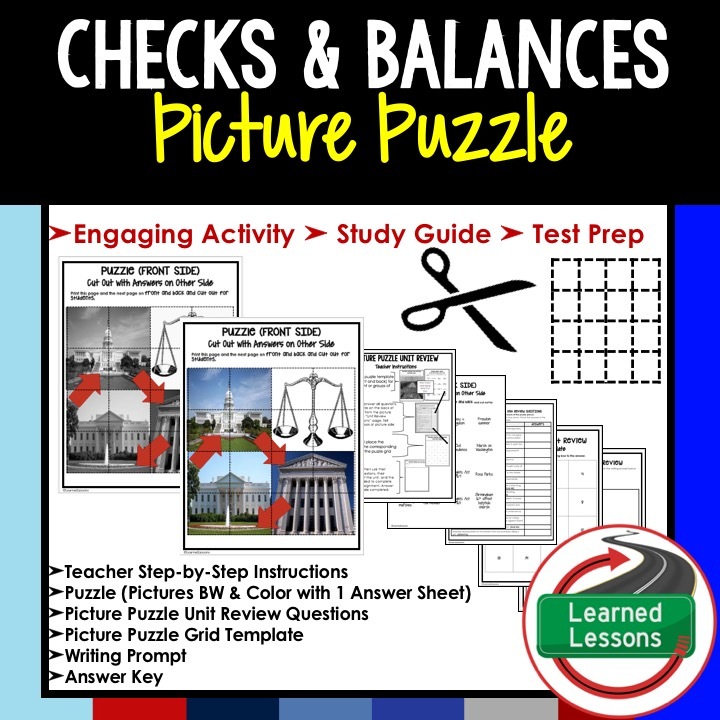 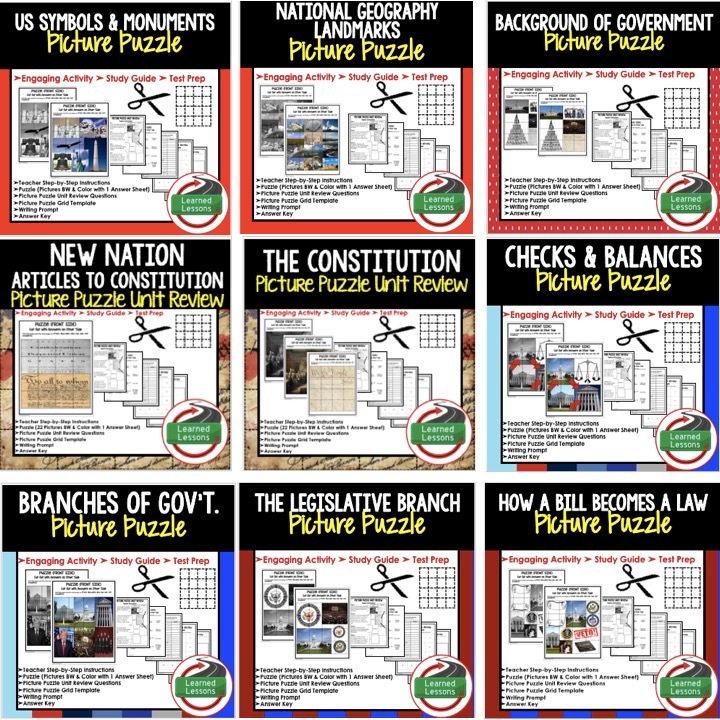 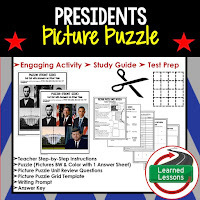 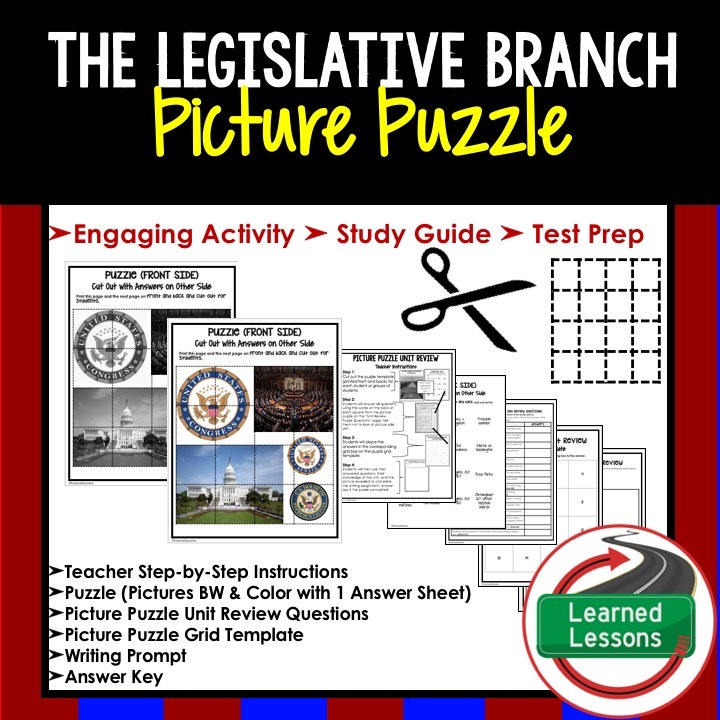 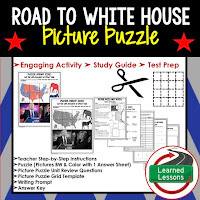 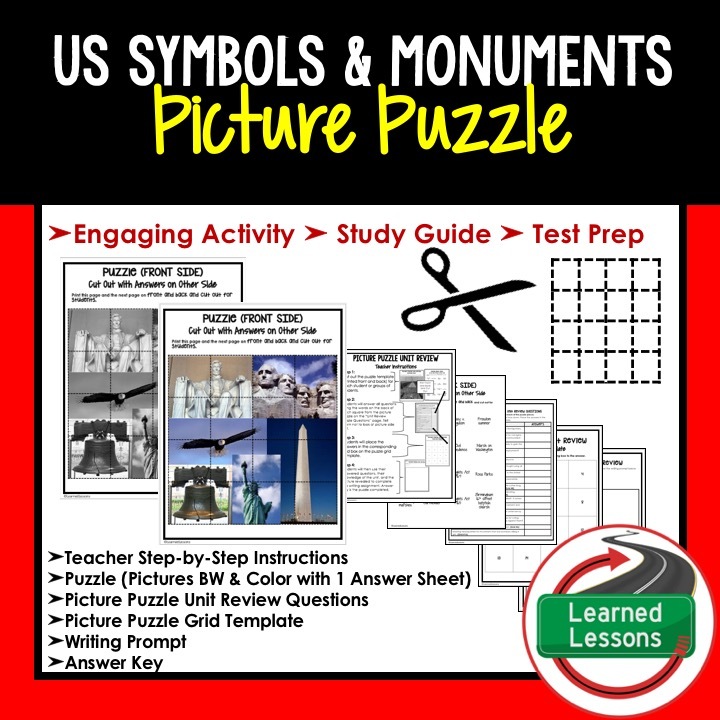 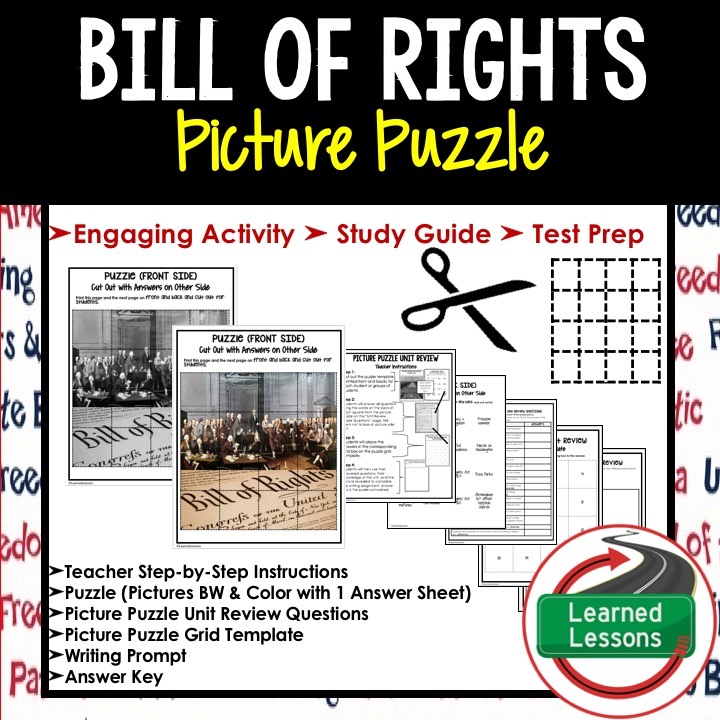 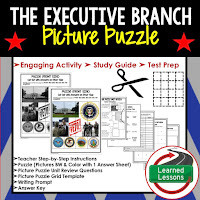 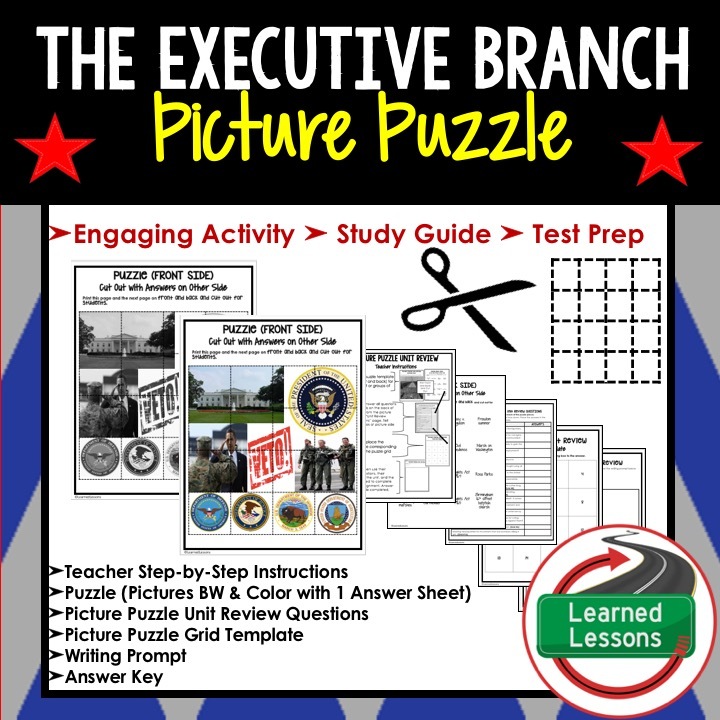 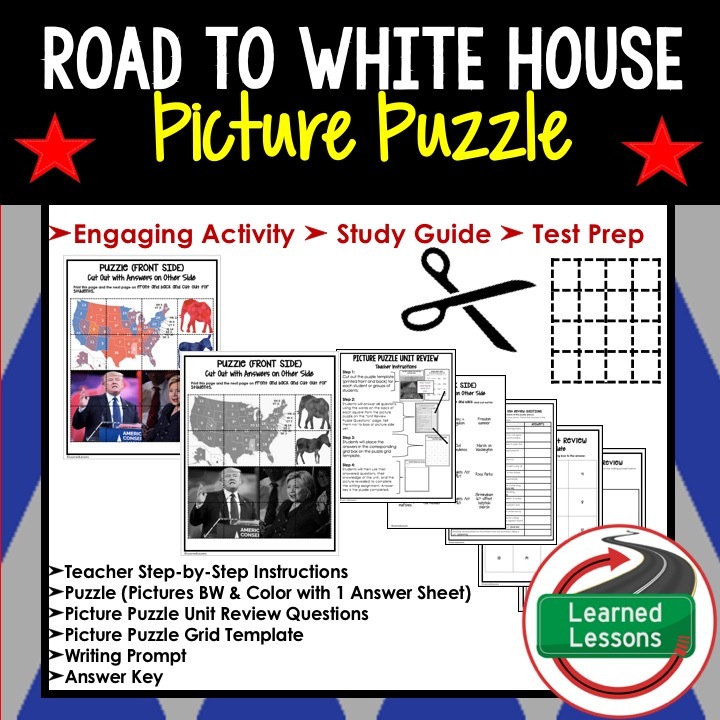 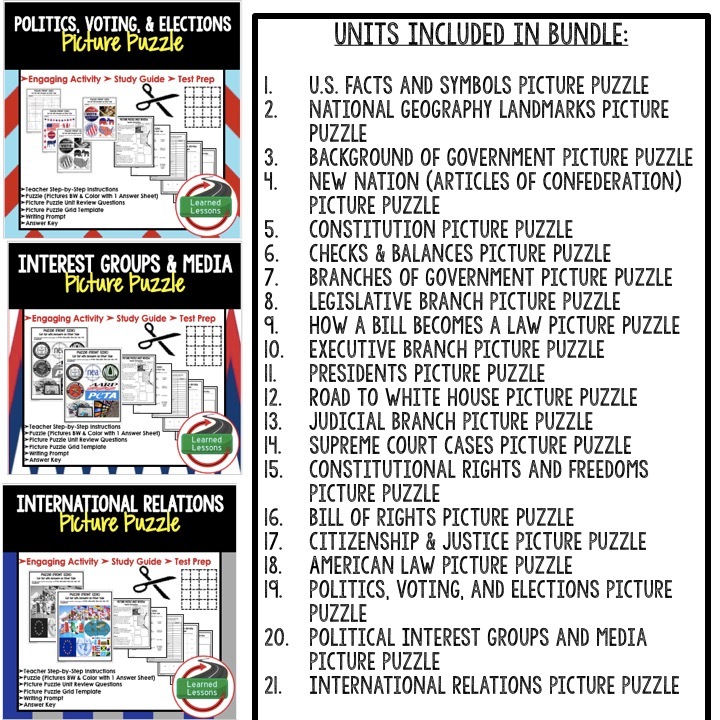 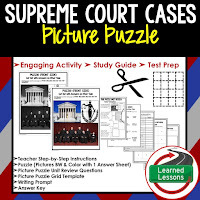 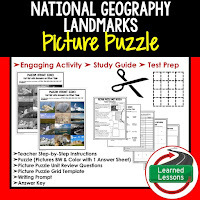 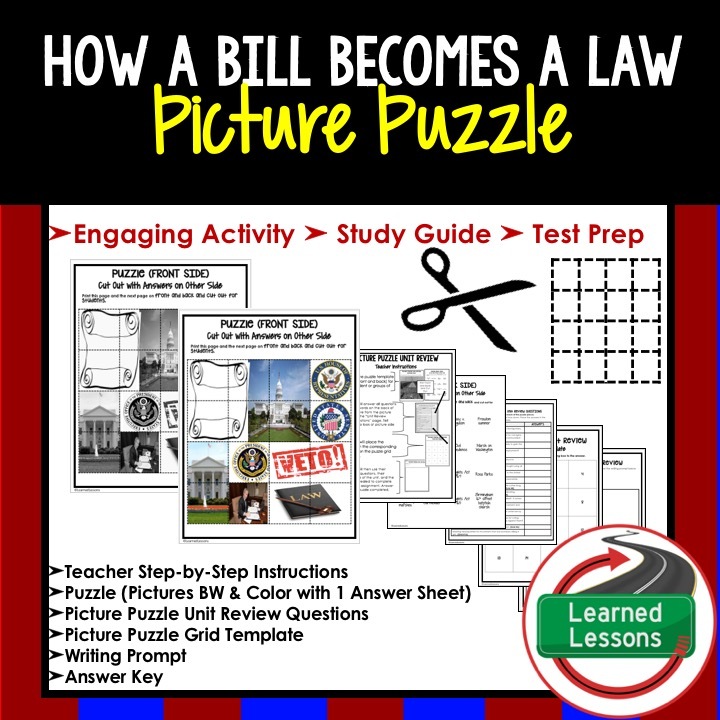 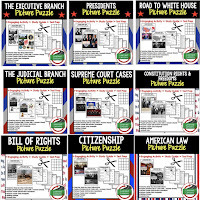 This Picture Puzzle Unit Review is a new and engaging way to create a quick reference study guide, conduct test prep, or just give students an opportunity to review key concepts throughout a unit in an engaging manner. 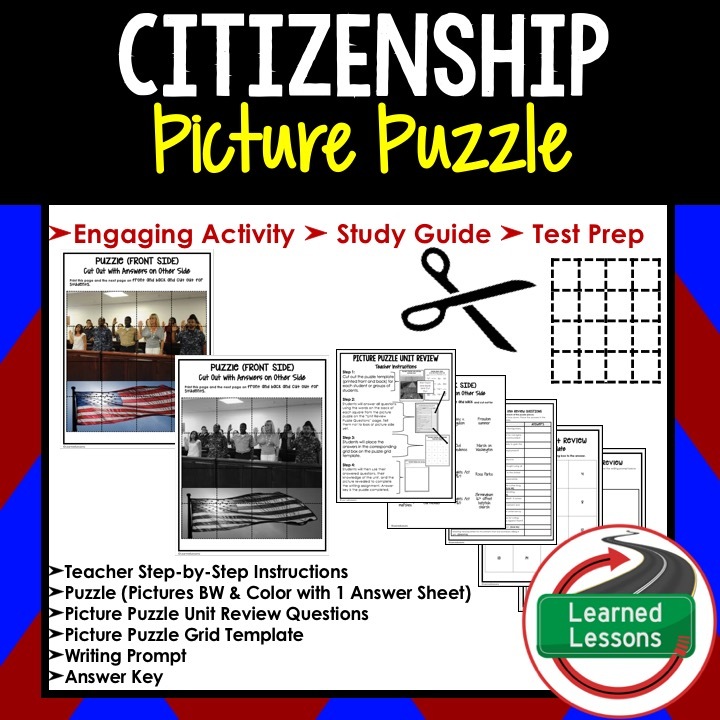 Students will answer questions pertaining to the unit using answers printed on the back of easy to cut out square puzzle pieces. 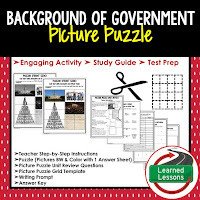 These answers will be placed on their unit review page and then the puzzle pieces will be placed on corresponding grid to revel a picture pertaining to the unit. Students will then use the review answers, the picture revealed, and their knowledge to complete a writing prompt. 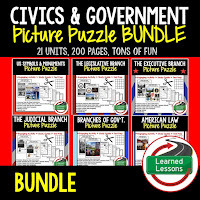 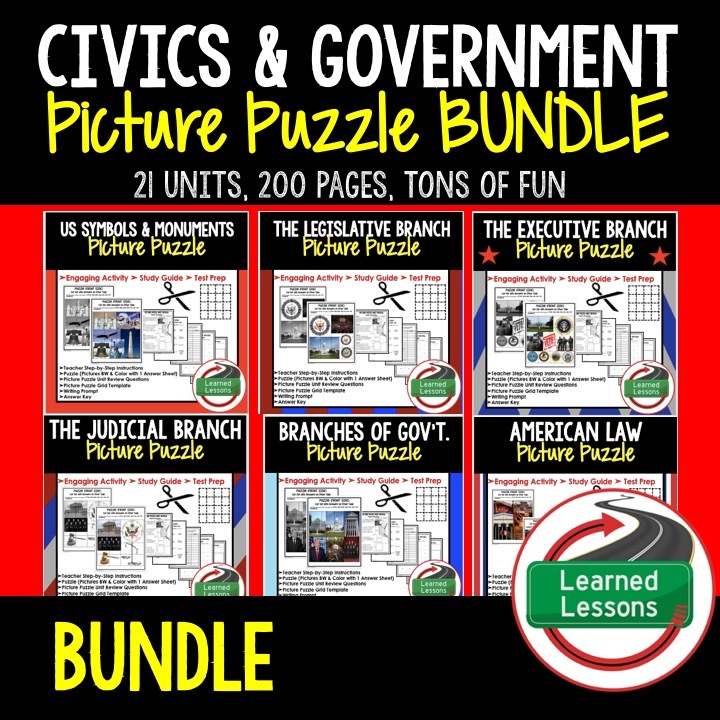 This is also part of a CIVICS MEGA BUNDLE! 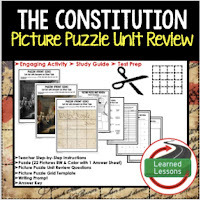 ➤Unit Review➤ Use to review the content at the end of the unit. ➤ELL and ESS Students➤ Use with ELL and ESS students for a hands-on approach to learning and to hit key vocabulary and concepts. 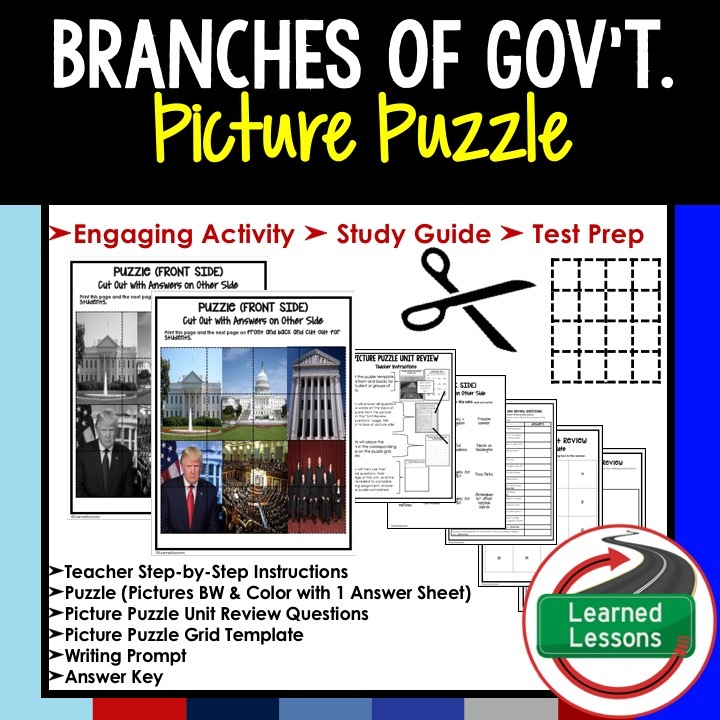 ➤Center Based Learning➤ Use as an activity in a center. 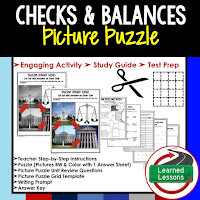 ➤Study Guide➤ Perfect as a quick reference study guide, reference sheet and/or review packet. 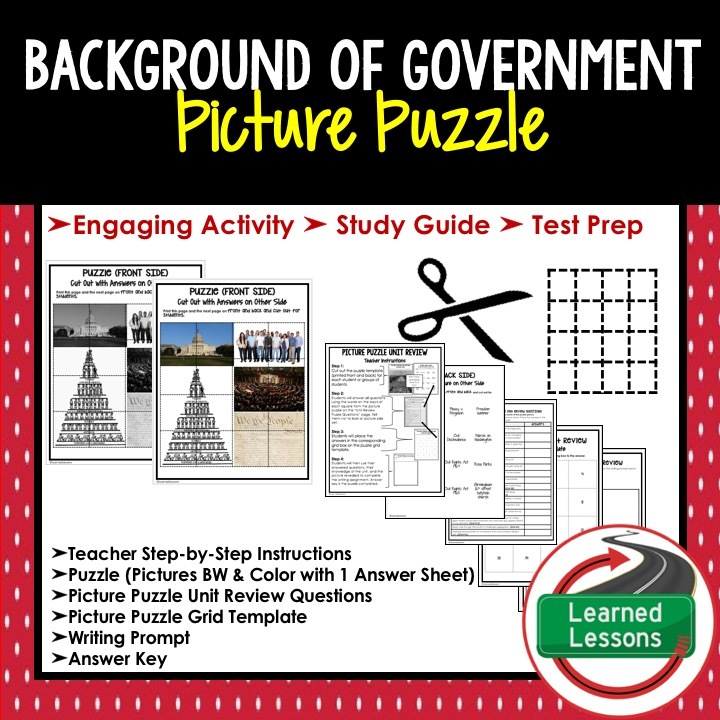 ➤Substitute “No Prep” Activity➤ Leave as a unit review activity when you have a substitute, there is little prep and students will be engaged.